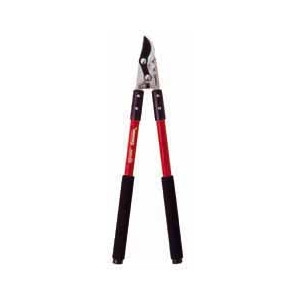 COMPOUND ACTION BYPASS LOPPER - 2 inch diameter cutting capacity. Four-bar compound linkage triples your cutting power. Resharpenable, PTFE-coated high-carbon steel bypass blade. Slant ground hook with sap groove. 24 inch fiberglass handles. Extra-long 12 inch non-slip foam grips. 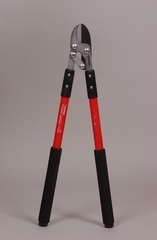 LOPPING SHEAR- 24 IN. ANVIL-COMMERCIAL - 2 inch diameter cutting capacity. Four-bar compound linkage triples your cutting power. Resharpenable, PTFE-coated high-carbon steel blade. Replaceable blade and anvil. 24 inch fiberglass handles. Extra-long 12 inch non-slip foam grips.